Adventure awaits at every moment! You can sea kayak through calm waters or hike trails filled with fascinating wildlife. One thing we can guarantee is that virtually everything will take your breath away! The wonders don’t stop with the Alaskan scenery. We’re pulling out all the stops this summer with our all-star lineup of RSVP signature entertainers along with some stellar new talent. 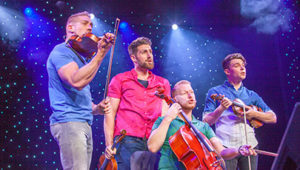 Oosterdam’s two-story theater hosts RSVP mainstage singers, comedians, drag performers, and some dazzling production shows. In the intimate Queen’s Lounge, you’ll enjoy our original cabaret acts and drag performers. Grab a drink and cozy up to a classic piano star in Billboard Onboard. Or better yet…try your luck at the friendly casino. 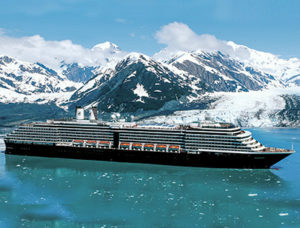 There’s no better ship to explore Alaska than on Holland America’s Oosterdam, one of our favorite ships. From abundant balcony staterooms to inviting entertainment venues, and from the delicious Pinnacle Grill to the ship’s world-class spa, you’ll discover the perfect way to relax in style after an active day. And her retractable pool deck roof creates the perfect place to enjoy RSVP’s legendary T-Dances and nighttime parties. When you do finally return to your stateroom, you’ll discover a quiet, elegant retreat, with rooms larger than most in the industry. Many feature private verandahs and all boast modern amenities, including flat-screen televisions with DVD players, large bathrooms (many with tubs), luxurious beds with Sealy Premium Euro-Top mattresses and finely woven cotton linens, and 100% Egyptian cotton towels. This luxurious suites offer in-room whirlpools, spacious sitting areas, access to the private Neptune Lounge (suites SC and above), and much more. Let Holland America’s legendary service staff take care of your every need, with a friendly staff that’s just a phone call away. It’s their smiles and friendly attitude that create a modern cruise experience that’s fresh and appealing and yet both timeless and refined. As with all RSVP cruises, there’s never an assigned table, dress code, or dining time. You’re always free to dine when and wherever you’d like and with whomever you’d like. And our friendly team is always on hand to assist in seating with friends old and new. For a more elegant affair, visit The Pinnacle Grill for a sophisticated meal featuring sterling silver, premium beef, and fresh seafood. All matched by a selection of wines rated “Excellent” by Wine Spectator. Please note an extra charge applies for The Pinnacle Grill, and Canaletto. For our guests with special dietary needs, we offer “Light and Healthy” menu items featuring meals low in sodium and cholesterol, vegetarian, vegan, gluten-free, fat-free, diabetic, or other special dietary needs meals, as requested. Oosterdam’s wide variety of entertainment venues offer more places than ever for the RSVP style of cruising, along with plenty of welcoming lounges to meet your friends in style. 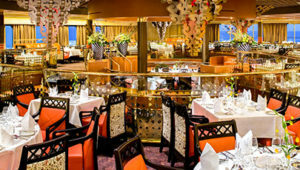 Start with The Mainstage Show Lounge – the focal point of any RSVP cruise. This fabulous 1000-seat two-story theater showcases signature entertainers, lavish production shows, and unique variety performances. For something more intimate, check out the Crow’s Nest, a stunning lounge on the top deck, with sweeping 270° views. Or meet friends in our inviting Billboard Onboard, where some of RSVP’s legendary piano entertainers will dazzle you every night. There’s even a screening room offering the best of first-run movies and unique gay cinema. Feeling sporty? Don’t miss the big game in our lively Sports Bar. Whether you want to enjoy some private time outdoors or spend the week in a spa stateroom, Oosterdam offers a fantastic selection of choices for total pampering and relaxation. The modern central pool features plenty of space to relax, swim, and play, with comfortable chairs and loungers everywhere you turn. There’s even a retractable “magradome” roof that can be completely closed – perfect for Alaska! Step outdoors to the aft deck to enjoy Oosterdam’sbeautiful Sea View Pool surrounded by massive teak decks. When you’re ready for some pampering, the Greenhouse Spa offers a variety of heavenly beauty and wellness rituals. Enjoy a facial, a hot stone massage, a steam in the thermal suite, or sooth away your tensions in the relaxing hydro pool. If hiking glaciers wasn’t enough activity, drop in for a workout in the state-of-the art fitness center, featuring a full set of weight equipment, modern cardio machines, and a variety of challenging classes. This incredible adventure has no adds on. From gay-friendly and convenient Seattle, you’ll sail to Alaska’s capital city, Juneau. 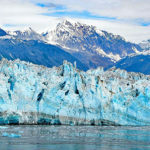 Beyond the mix of cosmopolitan chic and frontier ruggedness, discover one of Earth’s true wonders – Mendenhall Glacier. Whether you admire the glacier’s glory from afar, explore the ice on foot or by dogsled, or soar over the crevasses in a helicopter, we know you’ve never seen anything like it. As we sail up close to majestic Hubbard Glacier, we’ll cruise past ten tidewater glaciers, endless snow-capped mountains, and dazzling deep fjords. It’s a great privilege to sail these protected waters as only a few ships are allowed in each year. You’ll awake the next day to the island-studded waters of Sitka, one of Alaska’s most authentically rustic towns. 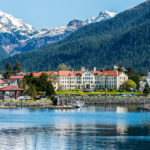 From its rich Russian heritage to non-stop adventure, Sitka offers plenty of choices between hiking, kayaking, whale watching, or simply taking in the town’s charm. 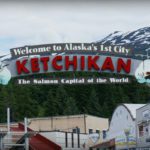 Our morning in Ketchikan presents the option of floatplaning through Misty Fjords, exploring the world’s largest collection of totem poles, watching the salmon run from the famed red Creek Bridge, or even snorkeling. Finally, picturesque Victoria provides the perfect ending in the “City of Gardens.” Our evening visit invites you to discover the city’s vibrant entertainment and nightlife scene with friends old and new. For 34 years, RSVP has created memorable parties featuring the music you love to hear! Start with our sparkling afternoon T-Dances, filling your day with upbeat and playful party themes. Nights dazzle with more ways to have fun with friends than you ever imagined, with themes ranging from the silly to playful and everything in between! Gay-friendly and progressive Seattle is as much about reinvention as it is landscape. And what a landscape! There are lakes, mountains, and forests everywhere you look. 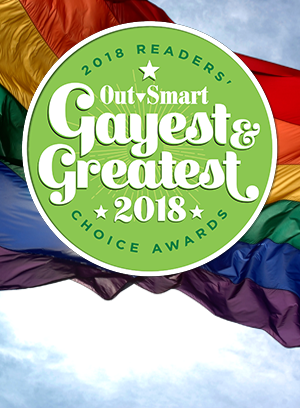 Catch a salmon at Pike Place Market, ride to the top of the Space Needle, sample a local microbrew in Fremont, or visit Seattle’s gayborhood, Capitol Hill. RSVP will host a series of inviting events to help you make the most of this remarkable Pacific Northwest icon. Have a balcony stateroom? Breakfast on your verandah is the perfect way to start this day. Where the day takes you is entirely up to you, of course, but we’ve got a feeling you’ll be exploring Oosterdam and enjoying all the beauty that surrounds us. No roads lead to Juneau; arrivals are by air or water only. This place will delight you with its bounty of natural beauty. 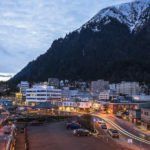 Squeezed between the Gastineau Channel and Coast Mountains, Juneau offers incredible variety in close proximity. The massive Mendenhall Glacier and the immense Juneau Icefields are right here, and the vast Tongass National Forest stretches away to the northeast. Shop downtown, kayak, dogsled, raft, hike, whale watch, flightsee, or fish. The adventures are as bountiful as the daylight. If you’ve ever dreamed of the ice age and how our planet may have looked as it emerged from the grip of massive glaciers, then this will be a definite highlight of your cruise experience! Today, we come face-to-face with the ever-calving Hubbard Glacier. The extreme topography here reveals a landscape driven by immense forces. The onion domes of St. Michael’s Cathedral are your first clue that Sitka was once a key Russian settlement. It was the capital of Russian America, seat of the bishop of Kamchatka, and the most important port on the West Coast for the first half of the 19th century. Catch a performance by the New Archangel Dancers, be greeted by native Tlingit people, then stand on the spot where the United States took possession of Alaska in 1867. The dramatic setting in the shadow of Mt. Edgecumbe is one of the loveliest in the Great North. Charming Ketchikan clutches the shores of the Tongass Narrows, with many shops and houses built right out over the water. 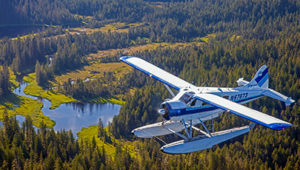 The stairways are weathered and the vibe is cheerful in the town that calls itself “The Salmon Capital of the World.” Beside the main attractions of Creek Street, the Tongass Historical Museum, Totem Bight State Park, and Saxman Village, try a flightseeing trip to Misty Fjords National Monument. These deepwater fjords were gouged out by retreating glaciers, leaving granite cliffs towering thousands of feet above the sea and countless waterfalls plunging into placid waters. A traditional Color T-Dance will see us dancing right into our final port of call as we sail the Strait of Juan de Fuca! A touch of England awaits you in the capital city of British Columbia. It’s one of the oldest cities in the Pacific Northwest, first settled by the British in 1843. 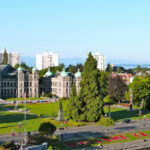 The city has retained a large number of historic buildings, in particular its two most famous landmarks – the British Columbia Parliament Building (finished in 1897) and the Empress Hotel (opened in 1908). Whether you’re strolling along the causeway in the Inner Harbour or visiting the famed Butchart Gardens (a brilliant tapestry of color spread across fifty blooming acres, open till 10pm), you’re sure to fall in love with this gorgeous city. We return to where it all started – Washington’s most vibrant and culturally rich city. If time allows before heading home, walk the waterfront, enjoy the whimsical glass sculptures at Chihuly Garden and Glass, or simply enjoy one of Seattle’s famed parks – Washington Park Arboretum or Green Lake Park. We arrive in Seattle at approximately 7 AM, and begin disembarkation shortly thereafter. We bring together friends from all walks of life to celebrate the magical diversity of our community. There’s never been a better time to join the RSVP family than in Alaska. We’ve worked hard to bring you amazing value wiht low fares starting from just $899! It’s a lowest price ever for Alaska, making it easier than ever to enjoy all the entertainment, parties, and incredible friends that make this adventure soo great. 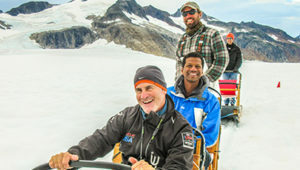 We invite you to let RSVP and Concierge Travel show you Alaska our way – a new place where you belong.